A composite photograph of how the pub and windmill would have looked. See also DCAV000577, DCAV000578 and DCAV001343. 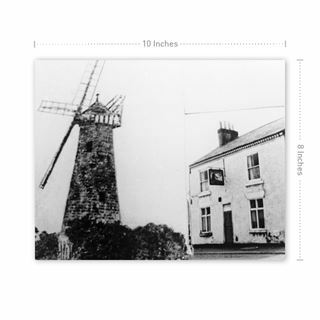 Peasehill Windmill was demolished around 1916. 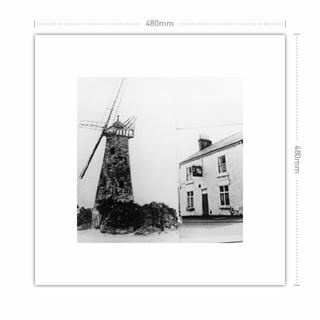 The windmill was probably built between 1790 and 1800 and worked until about 1900. 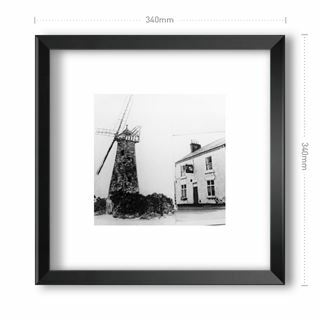 For the last 30 years of it's working life the proprietor was Mr Reuben Perry, who was remembered for his waist-length white beard. 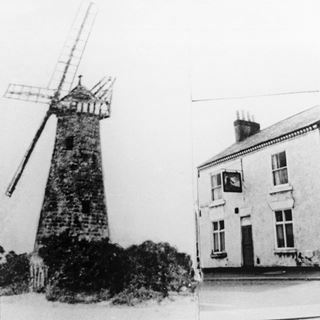 The Windmill Public House was demolished due to mining subsidence, and houses were later built on the site.